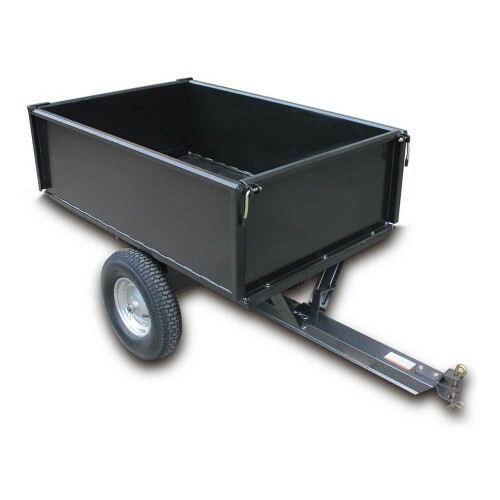 The Tondu TSC750 steel cart with a capacity of 750lbs has folding sides and can be assembled in less than 15 minutes. It features a foot pedal release mechanism for easy dumping including a safety lock pin. 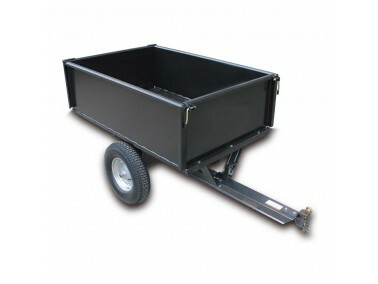 The trailer bed measures 107 x 70 x 34cm.